Canada’s capital, Ottawa, is a destination alive with celebration and cosmopolitan culture. This cycling and pedestrian friendly city encourages exploration and discovery, allowing guests to engrain themselves in the culture here. Some popular activities to partake in here include browsing the iconic ByWard Market’s chic shops and grabbing a bite of Ottawa’s signature dish, shawarma, or experiencing the breadth of the city’s vibrant nightlife. The many festivals that are held here throughout all four seasons showcase Ottawa’s distinct culture. These include the famous Winterlude and the Canadian Tulip Festival, a dazzling display of Ottawa’s official flower that sets the stage for a celebration of art, culture, and cuisine. To the east of Ottawa is Montreal, and along the way you can find one of Canada’s most interesting lodgings. The Fairmont Le Château Montebello is famously known as the world’s largest log cabin, and is surrounded by nature on all sides, making it the perfect spot to relax after cycling all day. 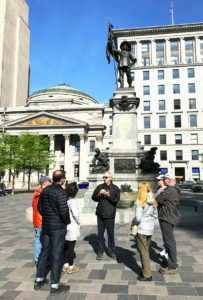 Montreal, the largest French-speaking city in North America, is best known for its enchanting European influences that warmly invite travelers to experience the city’s thriving arts and culture scene. 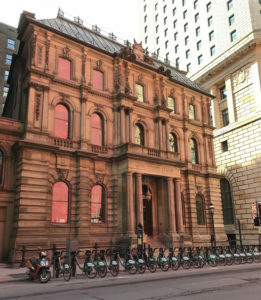 Carefully curated contemporary art galleries and historic museums make every stroll through town a testament to Montreal’s rich culture, as there is a new point of interest around every corner. Foodies will love their smoked meats, particularly brisket, that can be found all over the city and are often served with rye bread and yellow mustard for a simple, delicious meal. 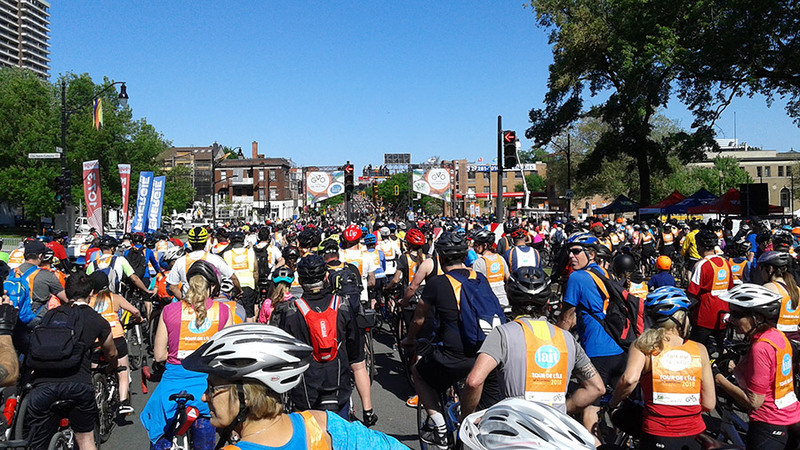 Cycling is also popular here and the city hosts the Tour de l’Île annually, where thousands of cyclists fill the streets for the group ride of a lifetime. To the northeast of Montreal lies Quebec City, the capital of Quebec. 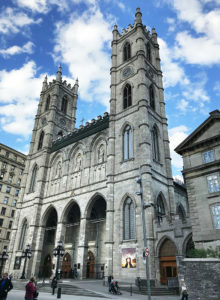 Quebec City’s population is largely derived from the original French settlers who founded this province, so it’s no surprise that the city is quite proud of its Francophone culture. 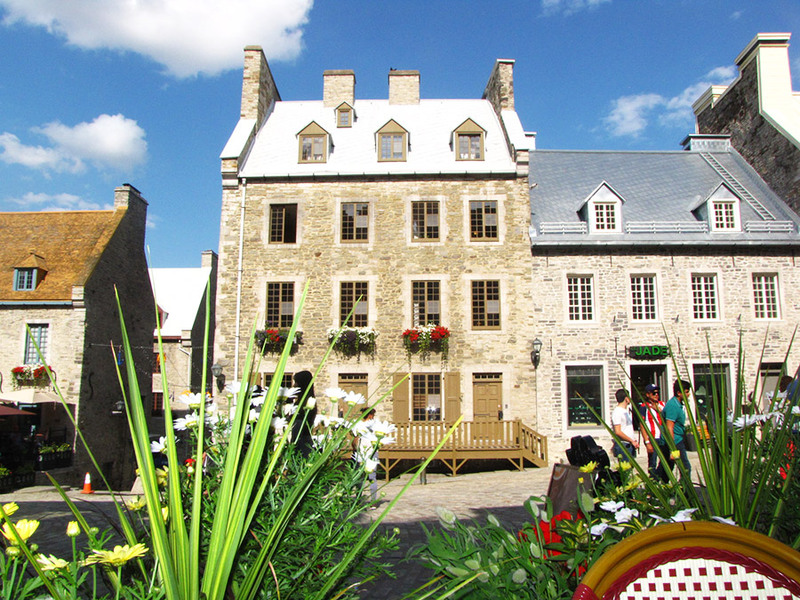 This French influence can be seen throughout Quebec City, from its styled boutiques to its cuisine. The culinary scene largely derives from traditional French dishes, albeit with their own Canadian twist. Quebec’s signature snack is poutine, made of only French fries, gravy, and cheese curds, but this savory dish has evolved to become a permanent staple in Quebec City’s cuisine culture. These dishes can be tried all around the city, with countless restaurants offering their take on this mainstay. The Le St. Pierre boutique hotel is nestled in the heart of Old Port and is just steps away from art galleries and restaurants serving up delicious plates of poutine and more! We travel to these cities each year throughout the summer months, in an effort to immerse ourselves in their varying and unique cultures. 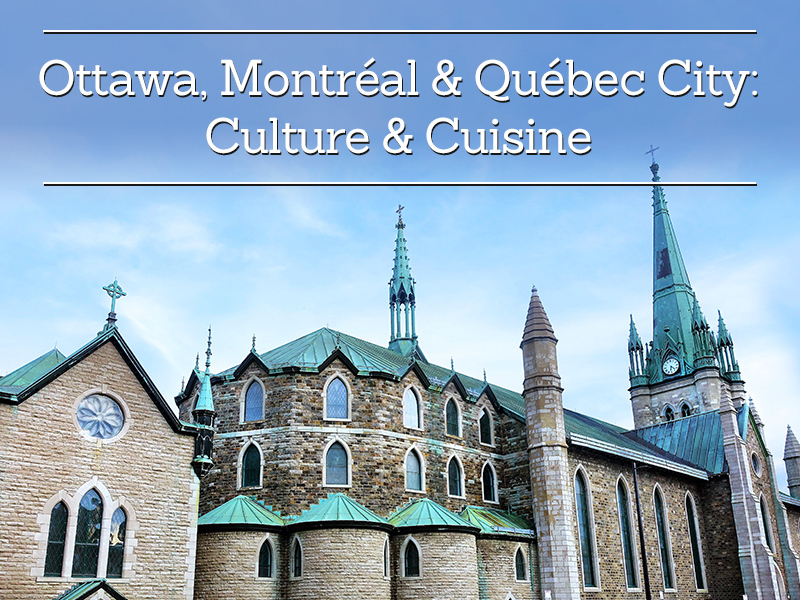 Join us from Ottawa to Montreal or in Quebec City and to experience the festivals, art, and delectable cuisines that make Canada a bucket list destination for every active traveler.